This is Chiang Mai's biggest orchid farm, which plays host to almost every species of orchid that grows in Thailand. This includes one of world's most beautiful and rarest varieties, the Vanda Coerulea "Pure White" orchid. It also houses a butterfly farm and a few rare breeds of Siamese cats and dogs. 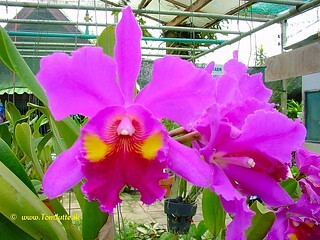 In addition to fresh orchids, which can also be exported, the farm offers a variety of souvenirs, such as gold-gilded orchid and butterfly ornaments.